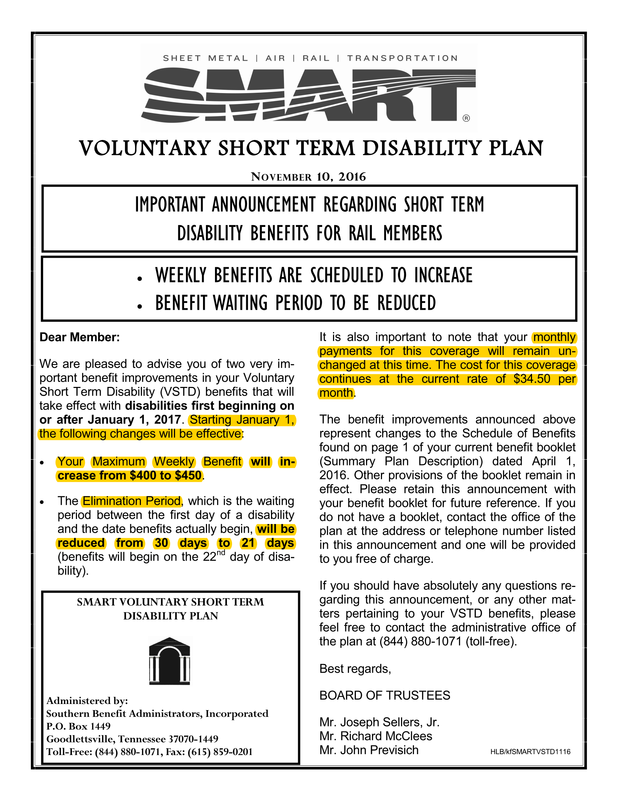 For Rail Members, the maximum weekly VSTD benefit will increase from $400 to $450. 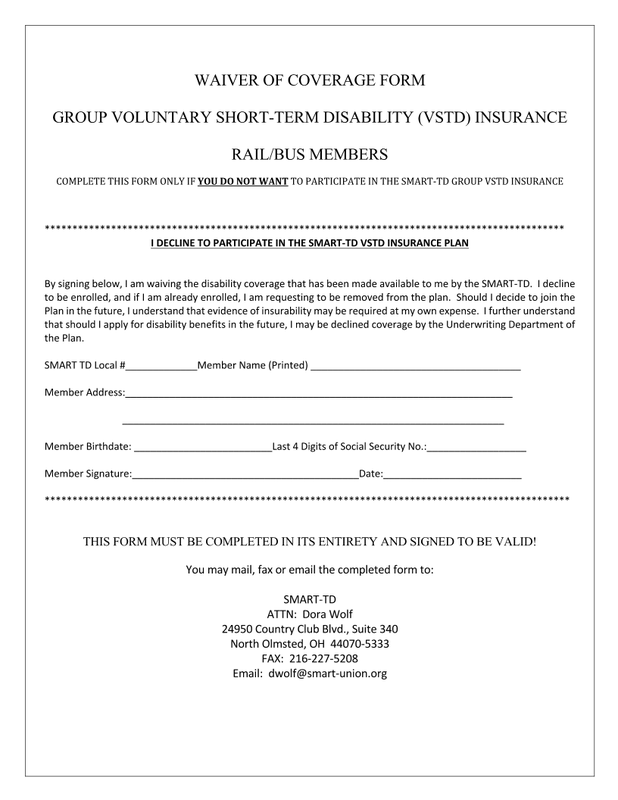 The Elimination Period for Rail Members, which is the waiting period between the first day of a disability and the date benefits actually begin, will be reduced from 30 days to 21 days (benefits will begin on the 22nd day of disability). 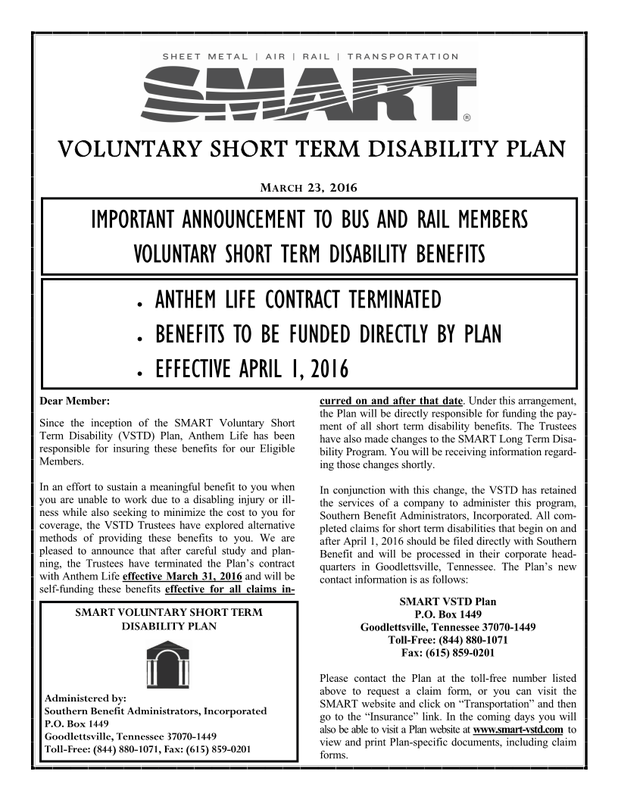 SMART Transportation Division is pleased to announce that after careful study and planning, the Voluntary Short-Term Disability (VSTD) Trustees have decided to terminate the Plan’s contract with Anthem Life effective March 31, 2016. The plan will now be self-funded by SMART effective April 1, 2016, and Southern Benefits Administrators, Inc. will be administering the plan. 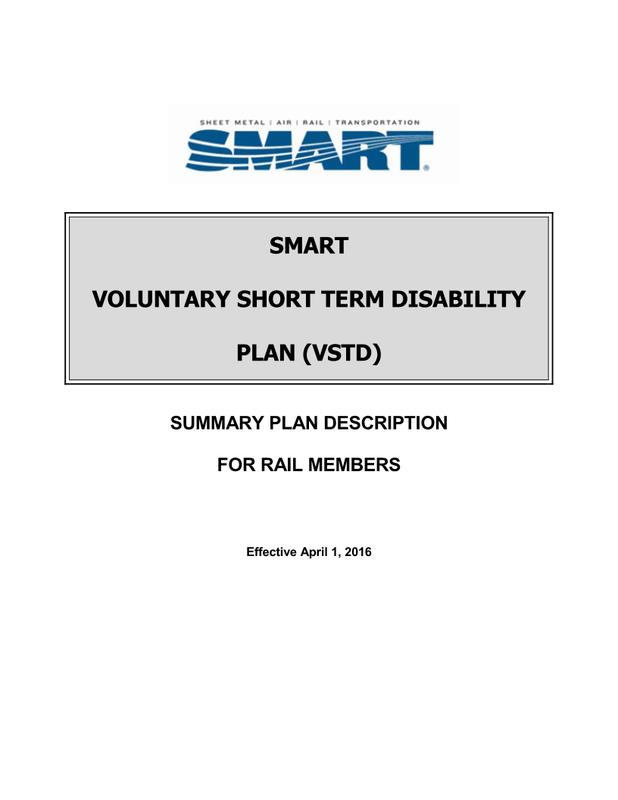 The SMART short term disability plan provides a basic “safety net” of coverage for SMART TD members and was designed to work in combination with Railroad Retirement sickness benefits. Member coverage and premiums remain the same with our new provider. 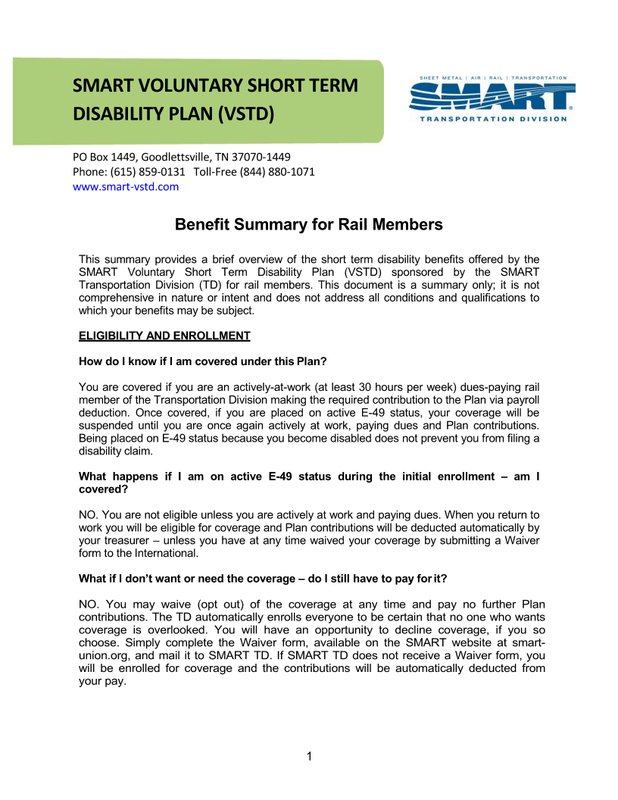 The SMART short term disability plan pays up to $400 per week for up to 34 weeks a year, and provides 24-hour coverage, seven days a week, for accidents and sickness. The 24/7 coverage means on- and off-duty coverage for accidents and sickness. The cost is $34.50 per month and is collected through payroll deduction. New SMART TD members will be enrolled automatically unless they choose to opt-out of the plan by submitting a waiver form to SMART TD headquarters. 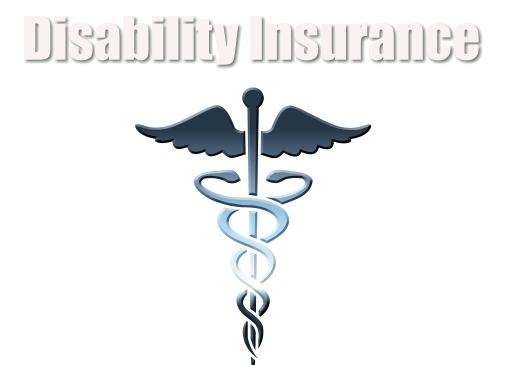 ​Members desiring additional disability insurance coverage may purchase an individual policy through the UTU Insurance Association. Contact your field supervisor or call the UTUIA Sales Department at (216) 228-9400 for more information. 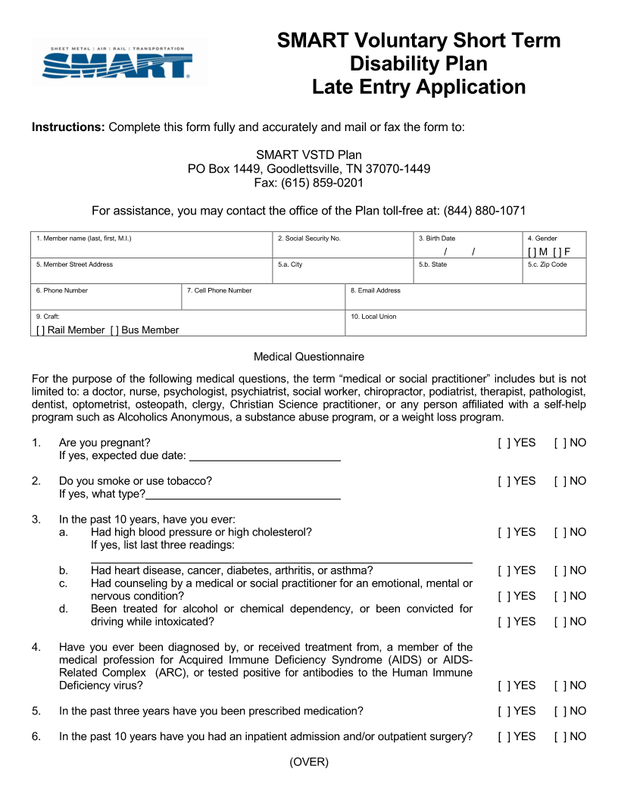 Beginning April 1, 2016, your SMART Voluntary Long Term Disability Plan will be insured by MetLife. During this time, you will experience a smooth transition and be provided with an effective and compassionate disability claims-management team to meet your needs. There are no changes to the basic plan provisions you are accustomed to today, however, the MetLife plan will offer some additional plan enhancements. 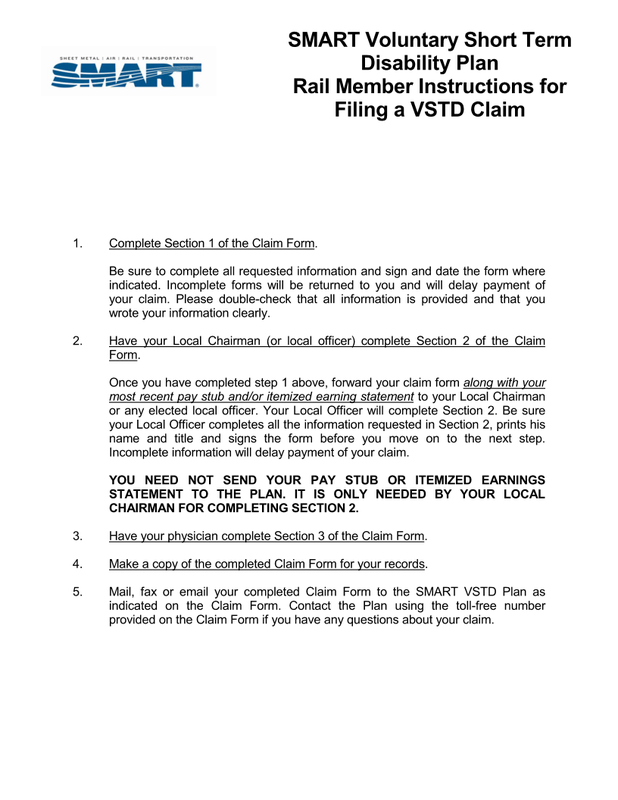 Any claims for disabilities that began prior to April 1, 2016 would still be insured by Anthem Life Insurance Company. MetLife disability team members are skilled in addressing concerns that impact members employed within the Rail and Bus industries when they become disabled. MetLife is committed to monitoring the accuracy and service levels of its claim administration on a regular basis to ensure that you receive the highest degree of quality. MetLife looks forward to supporting the SMART Voluntary Long Term Disability Plan for its Members. visit the SMART-TD Insurance page.